Stop the evil Darksol from reviving a great Dark Dragon! Step into the shoes of Max and lead a group of heroes in Shining Force: The Legacy of Great Intention! 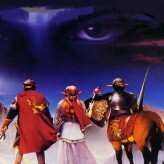 Explore the world and battle legions of evil in this old school role playing game. 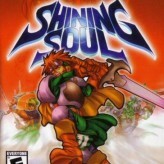 Shining Force: The Legacy of Great Intention is a 1992 fantasy turn-based role playing game developed for the SEGA console. 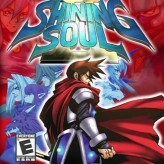 In this game, the land of Rune is in great peril and is suffering from the hands of the evil Darksol who threatens to revive a great evil that destroyed the world ages ago. Meet allies along the way that will join the Shining Force. Engage on turn-based tactical combat and use your strategy and battle tactics to take down all enemies you encounter! There have been 1,698 plays and 9 likes from 9 votes (100%) since 20/08/2016. 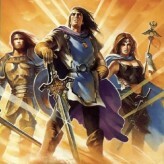 You are currently playing Shining Force: The Legacy of Great Intention game for free on Arcade Spot. It is a single game out of a variety of games that you can play on Arcade Spot. 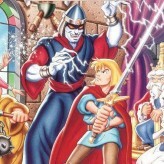 Play more games like Shining Force: The Legacy of Great Intention in the Action, Adventure, Arcade, Classic, Emulator, Retro, RPG, SEGA, and Strategy gaming categories. This game has a rating of 100 out of 100 based on 9 user ratings. If you enjoyed playing the game, give it a thumbs up. Free Online Games and Arcade Games are added every day. Arcade Spot will bring you the best games without downloading and a fun online gaming experience on the internet.